Italy has cemented its presence among the top tier of European golf destinations, with the number of international green fees booked having risen by an impressive 25 per cent over the last two years. With Italy Golf & More, the first pan-Italian international promotional golf project, providing the driving force, latest figures show that the number of rounds played by international golfers in the country has gone up by around a quarter since 2015. Green fee bookings rose by around 15 per cent in 2016 and have increased by a further 10 per cent so far this year, with a rise in numbers reported in regions across the north and south of Italy. Bruno Bertero, project co-ordinator for Italy Golf & More, said: “It has been another exciting and hugely encouraging 12 months for golf in Italy which is reflected by these latest figures. “The number of foreign golfers who are keen to visit all our regions and experience our wide and varied golf product is growing all the time, and we’re looking forward to the country’s influence as an international golf tourism destination continuing to spread as momentum builds towards the 2022 Ryder Cup. Featuring no fewer than 141 18-hole courses, Italy – venue for the 2022 Ryder Cup – is the ideal place to combine a golfing break with the chance to experience many of its other historic, cultural and gastronomic delights – and – it is proving particularly popular with players from the UK, Germany, Switzerland, France and Scandinavia. 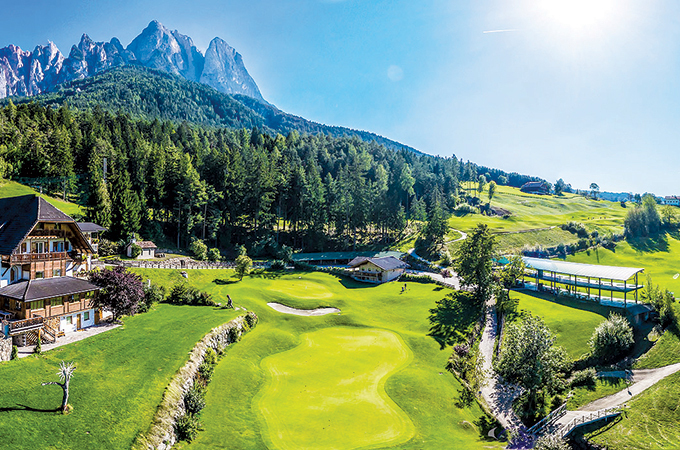 Researching a golf break to Italy has never been easier thanks to the launch of Italy Golf & More’s new website www.italygolfandmore.com, which features extensive details on the country’s golf courses and regions, and is a one-stop shop to discovering the many delights of golf ‘La Dolce Vita’. As well as providing easy access and comprehensive information about Italy’s golfing venues, the site – which is available in both English and Italian – offers the chance to learn more about the many historic, cultural and gastronomic attractions of each featured region. Italy Golf & More is a collaboration between 12 private sector partner regions, the Italian Golf Federation and the Ministry of Tourism (MIBACT), who have come together to embark on a seven-figure investment to increase awareness, and future golf tourism traffic, from key European markets to Italy.